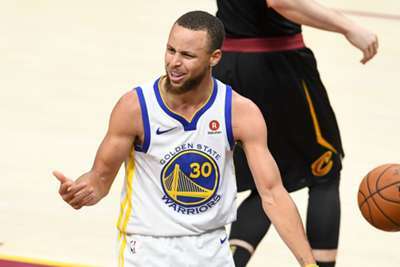 Golden State Warriors star Stephen Curry believes the 1969 moon landing was faked. Just two months after Boston Celtics guard Kyrie Irving apologised for trying to convince people the earth is flat, Curry is bringing another conspiracy theory to light. While speaking during Vince Carter and Kent Bazemore's "Winging It" podcast on Monday, Curry revealed he thinks humans never set foot on the moon. "We ever been to the moon?" Curry asked during the show. Multiple responders replied, "nope," prompting a follow-up from the former Davidson standout and three-time NBA champion. "They're gonna come get us. I don't think so either," Curry said. Podcast co-host Annie Finberg asked whether Curry actually believed that. Curry's comments come just one week after NASA famously put the InSight lander on Mars following an extensive journey of approximately 33.9 million miles.